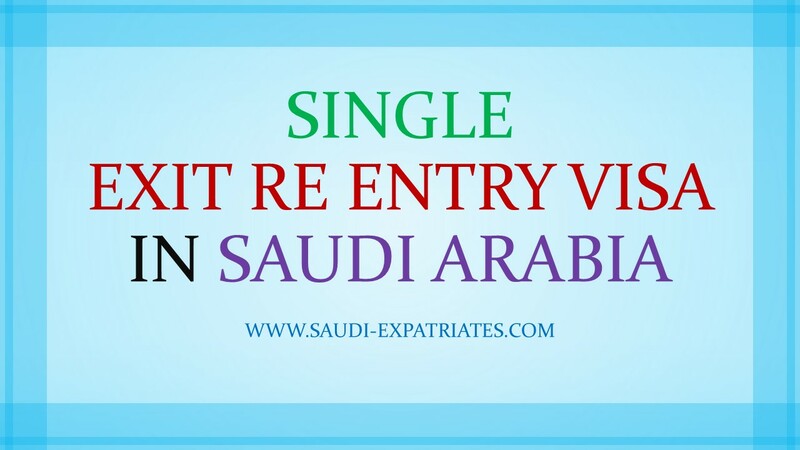 Single Exit re entry Visa instructions for expatriates who are working in Saudi Arabia on work visa. If you are planning for vacation or emergency leave, then you should take permission from your employer or sponsor as you are under his sponsorship. Your employer will process your Exit reentry visa. Exit Re Entry Visa contains your Visa number, Passport Number, Iqama Number, Iqama Expiry date, Name, Passport dependents, Exit before date (travel before this date) and number of days from departure (Should comeback within this days). Read this article "No more Exit Re Entry Paper in KSA". 1. Exit Re Entry Visa holder should safe guard his Exit re entry visa paper, which is attached with his passport. 2. If an expatriate is living with family then the Visa holder must travel with all the family members or dependents who are added on his passport. To know how to issue exit re entry visa for family members read this article "Issue Exit Re entry for dependents". 3. Exit Re Entry Visa paper is considered as Invalid, If it is not stamped with place of issue or employer's seal. 4. Exit Re Entry Visa is not valid for entry, If it is not stamped along with passport using passport official seal in exit port. 5. In case of not traveling within the period of authorized travel, It is mandatory to notify Department of Passports, So as not incur a penalty of residence policy. You can inform your sponsor or employer to notify them. 6. In case of any change or scratch to the document of exit re entry visa, it is considered as not valid. 7. In case of loss of this document, You must inform your sponsor or employer immediately. 8. 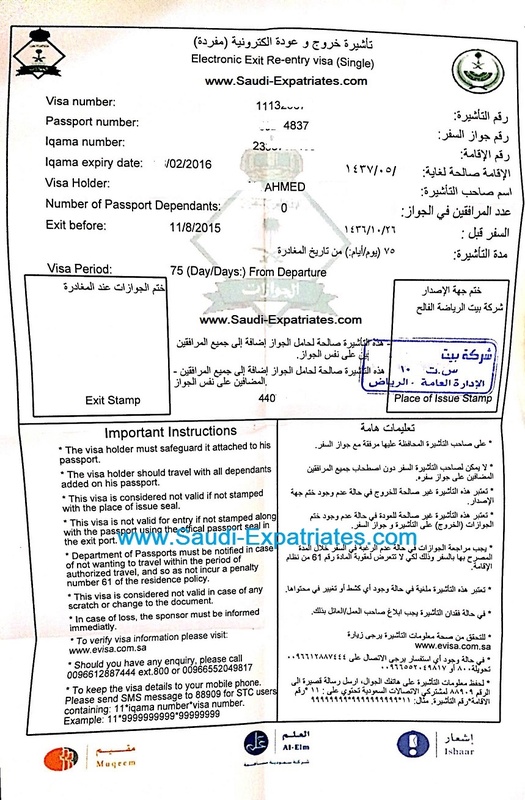 You can verify the information and validity of your visa by following this link "www.evisa.com.sa" For detailed procedure how to check your information read this article "Check Exit Re Entry Visa Validity"
9. If you have any enquiry about your exit re entry visa you can call this numbers 0096612887444 Extn. 800 or 00966552049817. 10. You can also get this visa details to your mobile phone by sending SMS message to 88909 only STC users. 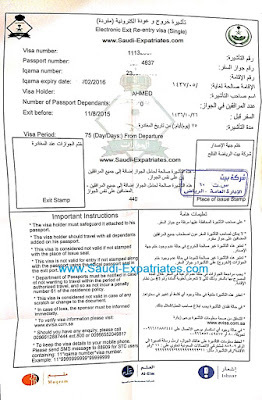 If I m going to final exit after oner year while my contract is for 2 year can I come again on that same visa ?? ?